Seems to be going better on GMG, Mr. K. ! Still, managed to pick up a few 'steers' from your list, thanks ! One work I forgot is Ludvig Irgens-Jensen's exquisite orchestral song cycle Japanesischer Frühling. Also, much of Lou Harrison's music has oriental connections. Ibert Escales : exotic only in movement Tunis-Nefta? I forgot Humperdinck's Moorish Rhapsody (Tarifa-Tanger-Tetuan). Ravel's Chansons Madecasses (here we fly very high; relatively unsung for the unusual, but small, resources requested). But for the Brazilian Gomes "Il Guarany" is exotic? Orientalism in music can be traced quite a ways back—there was all the stuff with Turkish Janissary bands in the 18th century leading to Mozart Rondo alla Turca, the A major Violin Concerto and The Abduction from the Seraglio and reams of less well-known music, but even before that there's arguably a degree of orientalism as well in the appropriation of the Spanish sarabande by Western European composers (Froberger, et al. ), Spain being much more "exotic" than France or England and even having non-white people living in it. In terms of the "usual suspects" there's almost everything by Saint-Saëns since he actually lived in Algiers for quite a while (already mentioned), plus Verdi (Aïda), Puccini (Turandot, Madama Butterfly, La fanciulla del West—which, admittedly, gives the "orientalist" treatment to the Wild West, but for Puccini it was definitely pretty exotic), Meyerbeer (L'Africaine), etc, etc. In terms of less usual suspects, how about Richard Strauss's Japanese Festival Music? There's even a whole sub-category for orientalism based on Balinese gamelan—McPhee's Tabuh-Tabuhan, Britten's Death in Venice, Godowsky's Java Suite and so forth. Oddly, there doesn't seem to be a lot of Balinese gamelan that's been strongly influenced by Western music. No gamelan arrangements of Bach cello suites or whatever. Weird huh? It's not particularly "exotic" for a non-Western composer to write music that references their native traditions, so I don't think e.g. Kamran Ince, Villa-Lobos, Adnan Saygun etc really qualify. 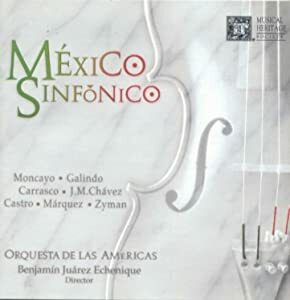 What is much more exotic is the stuff like early Takemitsu, more French than croque-monsieurs with berets, all on Western instruments—definitely unfamiliar w.r.t. the culture from which he originates. "Occidentalism" if you will. When he writes a piece for shō, shakuhachi and koto... not so much. I have an old vinyl recording of R.Strauus Japanese Festival Music. I don't hear it since decades. Glazunov: Two Pieces for small orchestra (Idyll and Reverie Orientale). Tcherepnin: Ballet "Narcisse et Echo"
Re Alberto's post: Yes, Szymanowski's Harnasie is not explicitly related to anything oriental or exotic, yet I find the sound-world of the work to be very exotic, if that makes any sense. The work in question does not have to be based on an exotic subject BTW, it can merely "sound" exotic. Re David's post: It is Atterberg's first suite that is entitled Orientale. Thanks. I mentioned Atterberg's Third Suite because like Szymanowski's, it too possesses the sound world that is pretty exotic in its own right (principally its second movement). I have to confess I was not familiar with the First Suite until you mentioned it. Also, I should mention Lehar's Giuditta as pretty exotic in its own right. Hmmmm....I don't recall anything particularly "exotic" about the Third Suite-will have to re-listen to it! Re the First Suite, a chamber reduction of it has been recorded (on Marco Polo), but, of course, I would definitely welcome a recording of the orchestral version as well as all of the other suites! Hopefully Jarvi will get around to them and other unrecorded orchestral works by Atterberg in his series for Chandos. Will we have anything else by Vasilenko on CD? Oh, forgot about that one! A very enjoyable disc indeed. I, too, wish more Vasilenko would be recorded. I have found some more of his (excellent) orchestral works on YT. Here's a modern 'East Meets West' which might(?) fit the terms of this thread ! Isn't it OT ? And Erland Von Koch Symphony n°7?